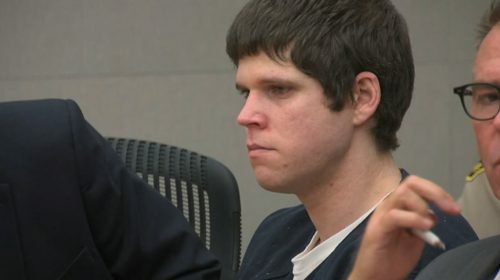 A San Diego judge sentenced a former Miramar Marine who drove the wrong way down a freeway while drunk, crashing into a car full of medical students and killing two, to 17 years in prison Friday. The sentence Judge Joan Weber handed down to Jason Riley King brought to a close a gut-wrenching case, one that the veteran jurist who has been on the bench for 28 years said was the worst case of its kind she has handled. “This is, without question, the most tragic one I’ve ever had,” said Weber, one of the San Diego Superior Court’s most experienced judges who has presided over numerous homicide and violent crime cases. King, 24, was convicted of gross vehicular manslaughter while intoxicated and drunken driving in January. 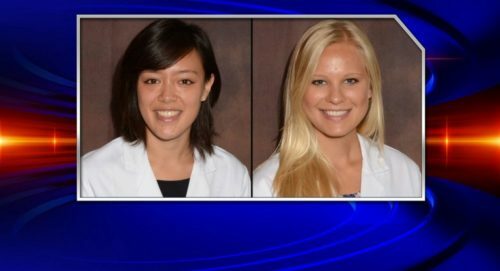 The same jury that found King guilty of those crimes, acquitted him of the far more serious charge of murder in connection with the May 16, 2015 collision that killed two medical school students, 23-year-old Madison Cornwell and 24-year-old Anne Li Baldock. Three others who were passengers in Cornwell’s car were seriously injured. King was found to have a blood alcohol content of between 0.15 percent and 0.20 percent, well above the legal limit of 0.08 percent. The crash occurred on state Route 163 near Interstate 8. King, then a Miramar-based Marine, was driving south in the northbound lane following a night of heavy drinking at a Mission Valley bar. The raised F-350 truck he was driving smashed head-on into the Prius Cornwell was piloting, shearing off the left side of the smaller car. King’s attorney Richard Hutton admitted in trial that his client was intoxicated and driving but said he was not guilty of murder. That would require prosecutors proving King acted deliberately, which he contended he did not. On Friday, Hutton said Riley would have pleaded guilty much earlier, and avoided the trial, if prosecutors had not insisted on pursuing a murder charge. Weber noted that Cornwell and Baldock were young women of great promise, one aiming to be a pediatrician and the other a neurosurgeon. Cornwell, Baldock and their friends were were celebrating the end of their second year of classes. The group gathered for a house party in Hillcrest, with Cornwell as the designated driver. She dropped off one student in North Park, then headed north to the UC San Diego graduate student housing where the rest of the students lived. One of the injured, Stosh Ozog, testified the collision left him with his spine fractured in three places, two broken ribs, a collapsed lung, a concussion and other injuries. He wore a back brace for four months and still endures pain as he continues his medical school program, he said. Jared Molitoris said he suffered a fractured sternum and learning disabilities including memory loss, which delayed his return to medical school until last May. A third passenger, Yuki Iizuka, has suffered severe memory loss from brain trauma, along with a fractured femur and eye and hand injuries that all required several surgeries. He resumed medical school last May. His mother, Maki, told the judge that her son has worked incredibly hard to get back to school, but will always have to deal with the damage from the crash. She urged King, who spent most of the hearing weeping and apologized to the families in a brief statement, to do the same while in prison. Before pronouncing the sentence, Weber said the case had impacted six families — those of the victims and King’s, who were also in attendance. “You could not have a more tragic case than what we went through,” she said of the trial. And she added a sad and true coda about this case, and similar fatal drunken driving cases. “In 2018, as it was in 2015,” the judge said, “this crime is preventable.” With ride hailing services like Uber and Lyft, taxis, and other options, drunken driving deaths can be avoided, she said. The case prompted Gov. Jerry Brown to sign a state law last year requiring bartenders to take training in recognizing when customers are too drunk to be served more alcohol.